After what feels like an eternity of profound indifference, I think I'm - dare I say it - excited for the future of Wear OS. As the well-known idiom goes, you wait ages for a Wear OS update and get 100 at once - and that's certainly been the case over the last two weeks. Google might have skipped Wear OS at this year's I/O keynote, but elsewhere it's been rolling out new features, announcing future updates, and allaying fears that it may have stopped caring about its wearables. The real inflection point will happen in the fall when the next phase of watches roll out, but there's a lot happening now too. For one thing Google's making Assistant on the wrist more like the one you find in your phone or on your Google Home speaker, doubling down on an increasing lead over Siri, Bixby and others. It's also still prodding away to get battery life out of the OS, which it revealed via an enhanced battery saver mode in the new developer preview. That's great, but Qualcomm's new wearable platform - announced to be coming this fall - can't come soon enough. This is what will allow Google to give Wear OS the shot in the arm it really needs; it feels like Google's hit the perimeter of what it can do with the current tech these watches are built on. The icing on the cake is a rumor that we'll at last get a Pixel Watch. This will reportedly be revealed alongside the new Pixel 3 phones in October and, we suspect, will be the "flagship" watch(es) that Wear OS product director Dennis Troper told Wareable about. Troper also told us that Google's partners are preparing new watches for the holiday season that will run on the new Qualcomm chips. So if you've been holding out on a Wear OS watch, you'd be smart to wait just a bit longer. We've tried out a lot of Wear OS watches - there's more than 50 of them now - yet if you asked me to recommend you one today… I'd struggle. Credit where it's due, Google has amassed a veritable army of Wear OS watches in different shapes, colors and sizes, but you can only dress up Wear OS and an ancient processor so many ways. 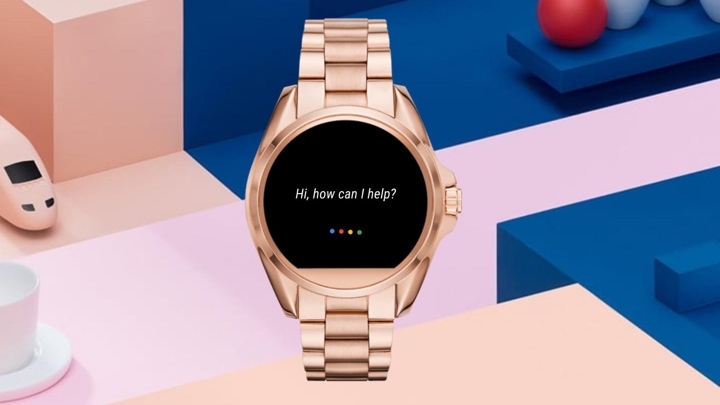 For Google's partners, the ease of integrating its tech has come at the price of innovation; the difference in using a $160 Ticwatch E and a $2,500 Louis Vuitton Tambour Horizon is negligible (if anything, the Ticwatch does more by ways of Mobvoi's custom apps). Pankaj Kedia, Qualcomm's senior director of wearables, told me that Qualcomm is looking more at specific use cases - essentially, fitness vs fashion - with the new chips, which I hope will make for variation that feels more than skin deep. It's a shame we have to wait so long to find out, but just knowing this is all coming - encouraged by movement in other areas - has me confident that this race is far from over. Change is coming, and not a moment too soon.